When I was younger my Grandma had a huge garden. 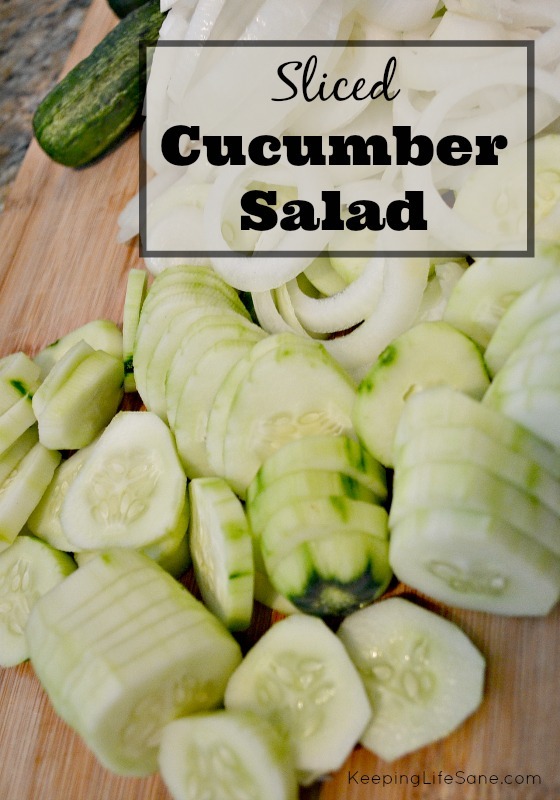 She grew a ton of cucumbers and make this great salad. I have a small garden and I am a member of a CSA at my local farm and I can’t get enough cucumbers. I’m not a big pickle eater, but I love this salad. I put them on sandwiches and they are delicious. These are also a great side dish for a picnic or BBQ. Alternate them in a jar. Combine vinegar, water, salt, and sugar in a bowl and mix until sugar has dissolved. 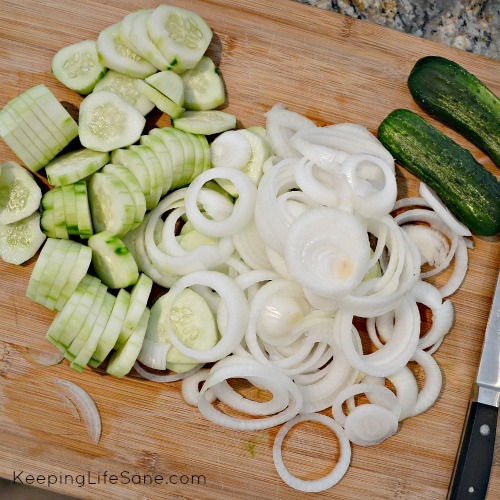 Pour vinegar mixture over the cucumbers, put lid on tight, shake, and refrigerate. I try and wait a day or 2 before eating to let the flavors soak in, but most the time I don’t make it. Tip: I usually turn the jar over for the first few days to let the ones on top get saturated. Cucumbers are one of my favs too and my husband planted a few this year again so I am waiting for them to appear. I will give this yummy recipe a try for sure! These look tasty! It sounds like a good way to feed my pregnant pickle craving! !